At NYCM Insurance, we consider being a good corporate citizen a responsibility to be taken seriously. 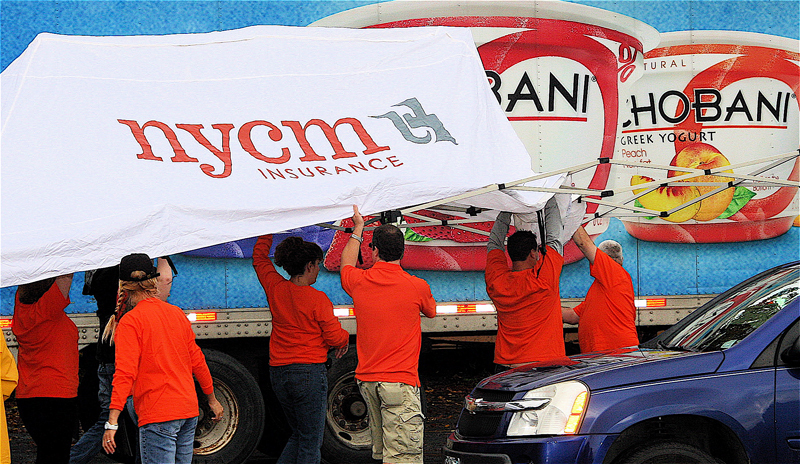 NYCM Insurance employees, who answer many calls for volunteerism, understand the value of donating our time and talent to local organizations that provide health, emergency and humanitarian services. We are proud of our presence in the community and are able to further extend that presence through in-kind and financial contributions. NYCM Insurance has awarded $30,000 to three New York state high schools whose students produced winning videos in the "Dangers of Distracted Driving" contest. 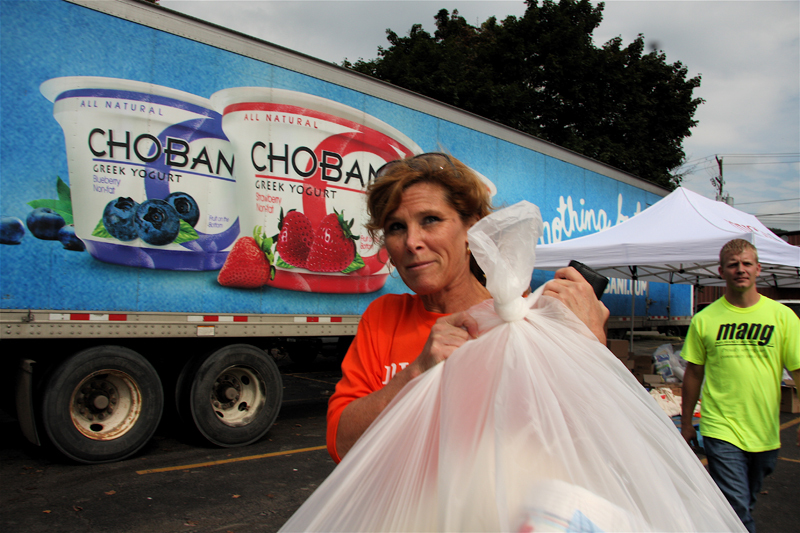 NYCM Insurance partnered with other local businesses to provide relief efforts to our neighbors who were devastated by recent flooding caused by Hurricanes Irene and Lee. NYCM Insurance is a proud supporter of a Military Sponsor Program which is championed by Information Technology's "IT Buddies". NYCM Insurance was honored as Employer of the Year at the 69th Annual Convention of the Federation of NY Insurance Professionals (FNYIP). NYCM Insurance has awarded $30,000 to three New York state high schools whose students produced winning videos in the "Dangers of Distracted Driving" contest. Students at East Syracuse-Minoa Central High School in East Syracuse, N.Y. won first prize and received $15,000 for the school. Students at Millbrook High School in Millbrook, N.Y. were awarded second place and earned $10,000 for the school, and students at Canandaigua Academy in Canandaigua, N.Y. captured third place and earned $5,000 for the school. View the winning videos at www.nycm.com . The top 30 videos, as determined by a panel of teens and parents of teens selected by NYCM, are now eligible for the "People's Choice Award." NYCM also will award $500 to the student(s) who created the video that earns the most "likes" on YouTube. "We were very inspired and impressed by the creativity the students showed in communicating the dangers of distracted driving," said Tom McDaniel, vice president for E-Commerce at NYCM Insurance. 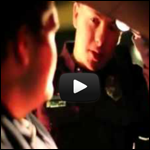 "In a very powerful and moving way, the videos demonstrate what can happen when drivers take their eyes off of the road and hands off of the wheel." Motor vehicle accidents are the leading cause of death for teens ages 15 to 20, and distracted driving is often the culprit. In fact, 16 percent of all drivers under the age of 20 involved in fatal crashes were distracted. In addition to texting, drivers can also be distracted by: using a cell phone, eating and drinking, talking, grooming, using a navigation system, surfing the internet, or changing the radio station, CD, or MP3 player. "Our goal for the video contest was for teens to educate themselves and others about the dangers of distracted driving to bring about change," said McDaniel. "We hope that by producing and seeing these videos, drivers will consciously avoid any action that takes their mind off of driving." NYCM's Dangers of Distracted Driving Video Contest attracted 159 entries from ninth through twelfth graders enrolled in public schools throughout the state. 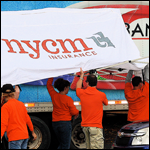 NYCM Insurance, headquartered in Edmeston, N.Y., is a property and casualty insurance carrier that has been providing coverage to residents and businesses in New York since 1899. The company offers automobile, homeowner, mobile home, umbrella and commercial policies and is rated A+ by A.M. Best Company. For more information, call 1-800-234-6926 ext. 2624 or visit www.nycm.com . Our combined efforts brought items such as toothpaste, toothbrushes, hand sanitizer, all-purpose cleaner, rubber gloves, masks, paper towels, yogurt, peanut butter, jelly and bread. We visited Sidney, Owego and Margaretville. 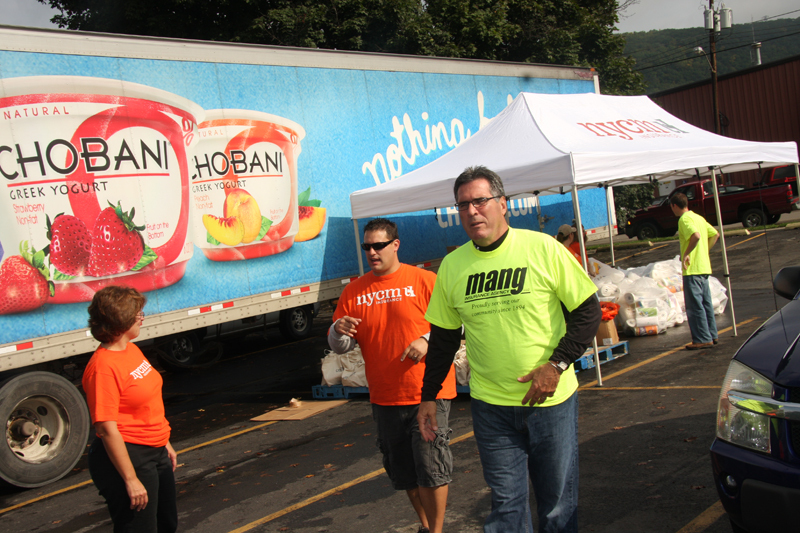 NYCM's Vice President of Marketing, Jeremy Robinson, stated that "a little teamwork can go a long way, as we gladly help our neighbors in any way we can." 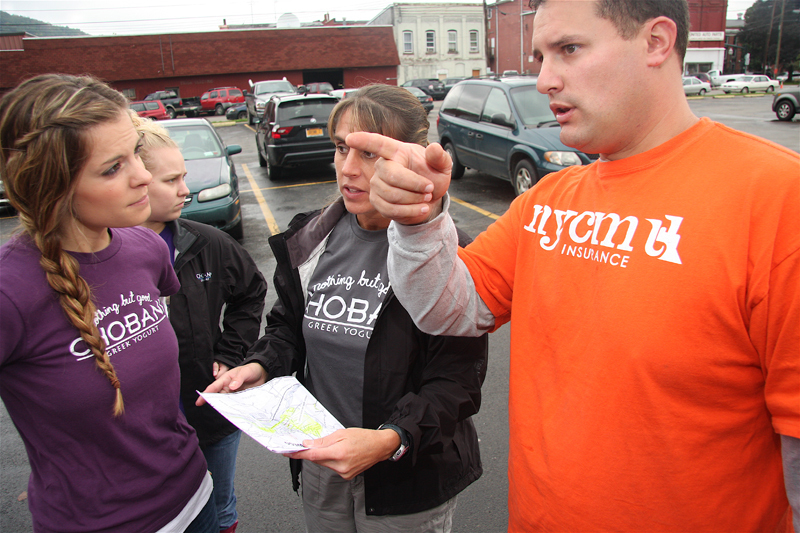 NYCM Insurance assists Owego following Hurricanes Irene and Lee. 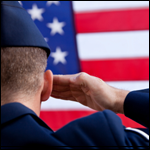 NYCM Insurance is a proud sponsor of the Soldier Program which is championed by the Information Technology division. There are nearly 35 teams of NYCM employees involved in the effort which helps to send care packages to soldiers deployed overseas. 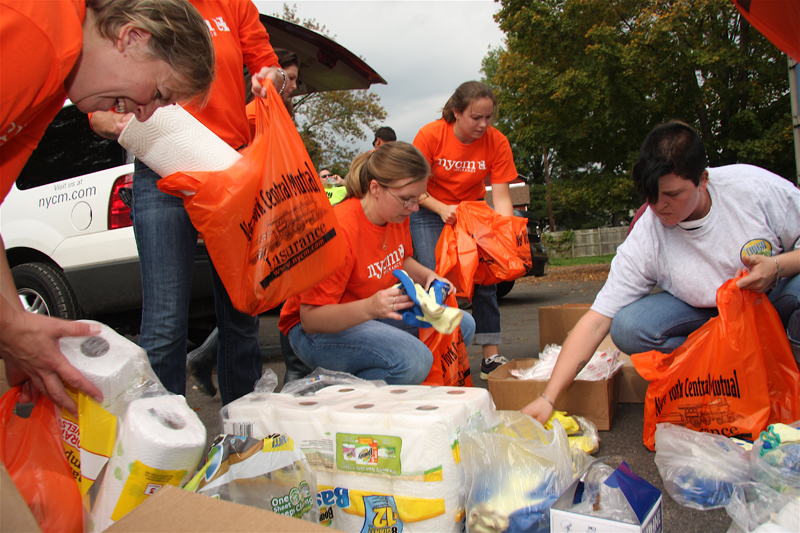 During 2011, NYCM employees sent 175 packages to 46 soldiers. NYCM contributes items to each package and pays shipping, without which we would not be able to help as many soldiers as we do. 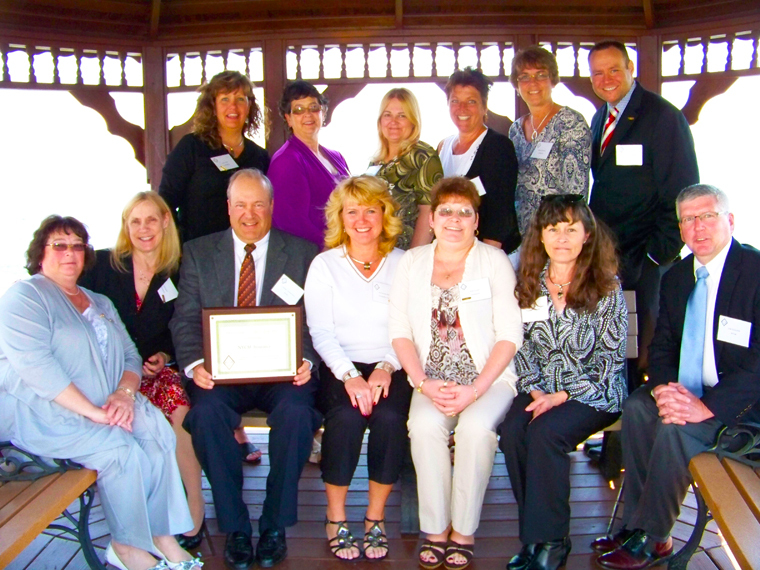 Congratulations to NYCM for being honored as Employer of the Year at the 69th Annual Convention of the Federation of NY Insurance Professionals (FNYIP) on Friday, April 20, 2012 in Geneva, NY. NYCM is very supportive of the Federation, including the local chapter, the Insurance Professionals of Chenango Valley. Our President and CEO, V. Daniel Robinson II, traveled to Geneva, NY to personally accept this award and graciously gave credit back to all our employees. We are proud that NYCM Insurance won this award, as we believe its actions, commitment and support of FNYIP deserve this recognition!